The Monthly Roundup: November 2015 | To Work Or PlayTo Work Or Play | A blog of two halves: Lifestyle guidance for city-savvy socialites, and insight, inspiration and opinion for ad-curious folk. Bringing you our selection of the biggest and baddest adland breaking news from the past month. Because… Christmas has come early. Tis the season to be creative… and that’s exactly what this year’s ad folk have been. With everything from animated short films, brutally honest Christmas warnings, festive acting techniques, musical joy and even a man on the moon, 2015’s advertising teams have covered it all. Here we give you our favourites, the ad’s that are being talked about the most and some additional extras from this year’s merry bunch. As it is now the norm for this time of year, the battle of the superstores has been heating up. But where John Lewis have stuck to the same formula year after year, Sainsbury’s have continued to surprise us with different strategies throughout and this year’s doesn’t fail to please. This year’s festive feature sees children’s author Judith Kerr bring back Mog the cat for the tale of ‘Mog’s Christmas Calamity’. Turning one of the nation’s most loved children’s book characters into a festive campaign is a stroke of genius, but even for those who aren’t familiar with the lovable feline, the underlying message highlights the importance of sharing at Christmas time. The three-and-a-half minute long film, created by by Framestore, the brilliant animators behind Paddington the Movie, features a sequence of events that result in Mog setting fire to the kitchen in the early hours of Christmas morning. Sainsbury’s are selling the book in store for £3, along with a Mog stuffed toy (which is on our Christmas lists *hint hint*) and will be donating profits to Save the Children. 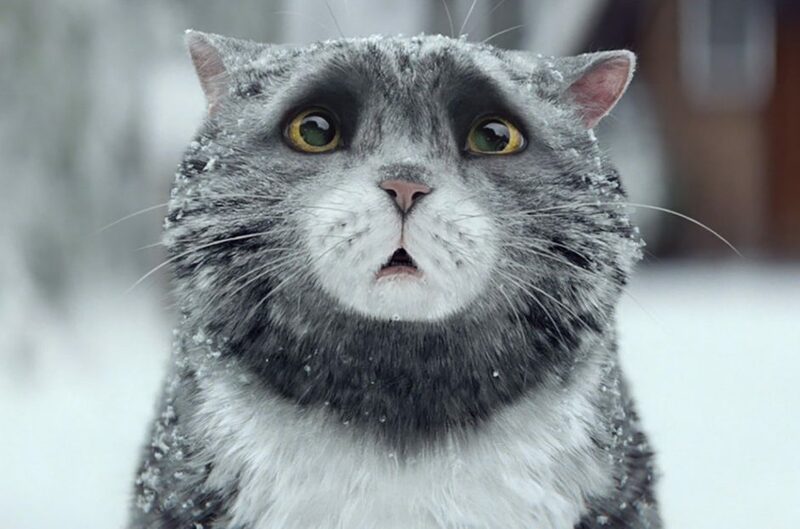 Sainsbury’s have also extended its offerings beyond just a Christmas ad, with a user generated digital marketing campaign which aims to improve children’s literacy starting with a piece of content called ‘Storytellers’. Watch more here. These may be our favourite series of ads this whole festive season and who would have thought it comes from high street electronics retailer Currys PC World. At Christmas some of us have better poker faces than others and when it comes to reactions it’s hard to hide disappointment, so for these times of desperation we need a helping hand… cue Jeff Goldblum and his acting tips. The ads, created by AMV BBDO, show Goldblum gate crashing family gatherings in the awkward moments that see the most of us biting our lips with a fake smile sprawled across our face in a bid to protect our loved one from their totally rubbish present buying skills. Goldblum’s role sees him charging into scenes right at this awkward moment, to advise on the best way in pretending the gift is something else. “The very real truth at Christmas is that most of us receive rubbish presents,” and suffer in silence, say the ECD’s at AMV BBDO, so it’s time to nip this cycle in the bud. The theme of the ad seems to take some references to 2013’s Harvey Nichols “Sorry, I Spent It on Myself” campaign which saw people receive crappy presents because the present giver spent money on themselves, but these ads take the theme to another level by showing friends and family how to react to novelty gifts, burnt roast and grandmas bad TV choices. Just brilliant! Our fav ad of the lot… the turkey dinner. Lidl’s #SchoolOfChristmas peaked early when it was released on Nov 1st, setting the way for many festive campaigns to follow. Created by TBWA\London, the ads show a change in direction from the German company, with the aim to show consumers how to get the most out of the festive season. The series of ads show lessons in the art of Christmas including culinary classes, how to set alight pudding, the right way to arrange fairy lights, the art of accepting a gift and making the most out of leftover lunch. “We wanted to find a way of helping to make this time of year a little more stress free for families… With a splash of humour, our various ‘classes’, featuring across multiple channels, will help shoppers navigate this tricky time of year.” Georgina O’Donnell, head of communications at Lidl explains. This campaign is the first time that Lidl have debuted an ad on social media, followed by the full 60 second TV spot later that evening. Supporting the idea are a series of mini ads, which drill down into each lesson further and a virtual ‘School of Christmas’ where shoppers can get digital lessons and top tips from Michelin-starred chef Kevin Love. This year marks 15 years since the release of Billy Elliot and bearing this in mind, Burberry decided to celebrate by bouncing Sir Elton John, Julie Walters, James Bay, George Ezra, Michelle Dockery, James Corden, Naomi Campbell and Rosie Huntington-Whiteley on a trampoline; but it’s the return of Romeo Beckham that has stolen the headlines. Rather fittingly, campaign star Sir Elton John wrote the music for Billy Elliot the Musical and award-winning British actress, Julie Walters, played the role of Billy Elliot’s ballet teacher. It’s a shame that they couldn’t bring back Jamie Bell for this one, as the jumping theme is visually beautiful for Burberry, with or without the Billy Elliot reference. In addition to the advert, Burberry has teamed up with Google to create an interactive photo booth for the fashion house’s flagship store on London’s Regent Street. Until Christmas Eve you too can enjoy bouncing around on a trampoline and then be sent a copy of the 15-second footage, accompanied by T. Rex’s wonderful Cosmic Dancer. As we know, it’s not only the UK that has a plethora of festive ads this time of year. 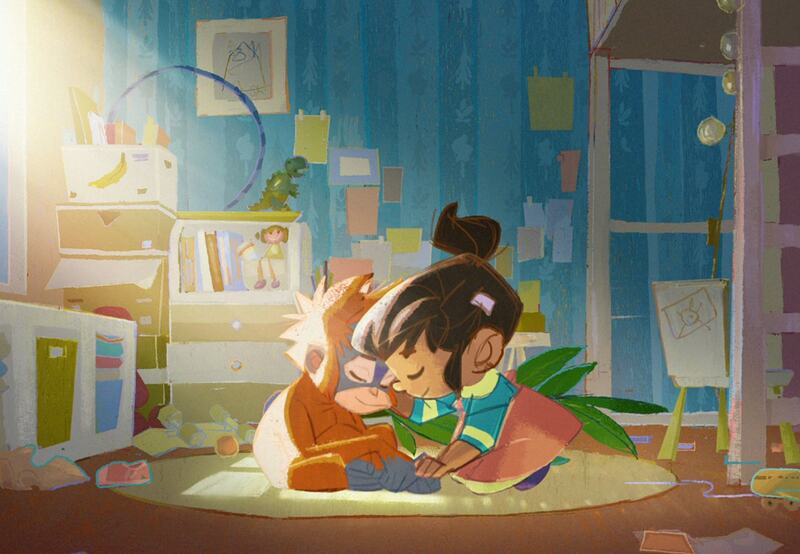 This next one from the Spanish Lottery follows the same theme as Sainsbury’s with a heartwarming animated story capturing the true spirit of Christmas, which may even leave you sobbing into your dinner. Since 1812, it’s been a national tradition for Spaniards to take part in the lottery on Christmas day (even if it means standing in line for house to get a ticket). Nicknames “the fat one” the prize is valued up to more than €2.2 billion, making it the biggest lottery prize in the world. Created by Leo Burnett Madrid, the message “There’s no bigger prize than sharing” is delivered through the compassionate story of Justino, a security guard who works the graveyard shift in a textiles factory. The short film shows our loveable lead during his daily grind, working alone whilst trying to find ways to connect with his colleagues in a moving yet funny manner. His coworkers appreciate his generous playful efforts and enter him into the office syndicate, unbeknown to Justino. When they win, the office staff are overjoyed and leave him a mannequin with a winning ticket before greeting him for a celebration as one big group. The film became the No.1 trending topic in Spain and 5th worldwide on Twitter with the film exceeding 1 million views within a day on YouTube. Who knew an advert for Spanish Lottery could be so moving?! We can’t ignore it so where do we start? The John Lewis ads are normally the most anticipated advert of the season, but with this anticipation comes a LOT of pressure to get it right and Man on the Moon is the company’s 2015 attempt in wooing the audience. It tells us the story of a young girl called Lily, looking at the moon through the family telescope one night, amazed at what she finds… a man on the moon. Lily watches as he goes about his chores, all alone up there. She becomes determined to get something to the moon, to send him a message and show him that someone down here is thinking of him. There’s little to do with Christmas in this ad, and it’s slightly less tear jerker than the brilliance of their ‘For gifts you can’t wait to give’ advert in 2011, but still an emotional ride. We also can’t help, but think there may have been a missed opportunity to team up with Age UK and have a charitable donation supporting the true message the ad portrays. On top of this spot John Lewis have created an app, which can be downloaded for Android and iOS, that uses augmented reality to bring the moon to life. By pointing your phone at the Man on the Moon image on John Lewis packaging and shopping bags (or by holding the device up towards the moon itself), users can unlock a 3D interactive moon that releases daily facts and animations in the countdown to Christmas Day’s full moon. A lovely feature. Overall the campaign has the right sentiment, reminding people to look after our elders and making sure they aren’t alone around Christmas, but we think it fails to achieve the feel of some of the previous ads, and sadly this year has been overshadowed by creative output from Currys, Lidl and Sainsburys alike. Primark don’t do advertising often, but when they do, they do it well. This Christmas spot shows the return of the fast-cut product montage, in true Wes Anderson style. Fans of Reece King will be pleased to see the model prancing around in high street clothes, but the ad is slightly ruined by the overly dolled up models. The true charm lies with the dancing kids, who really steal the show with their genuine smiles and giggles in comparison to the high class model selfie. Interestingly, the style of the ad diverts away from the clothes themselves, focusing more on the cinematography of the shots. It may not have received as much media attention as the likes of John Lewis, but this TK Maxx ad is a breath of fresh air, and the sentiment it spot on. Ultimately Christmas is about sharing and that’s exactly what TK Maxx want to showcase. The spot, created by Quiet Storm, chooses a slightly different angle to the rest, the ads narrative reads “The couple upstairs. The lady next door. Sue and Pete (or is it Paul?) from number 44. They might not be your dearest, but they are your nearest. So this Christmas, let’s get into the festive spirit. With magical gifts for less, why not give just one more? Spread a little TK Maxx”. Set to the soulful vocals of Otis Redding’s 1967 classic ‘White Christmas’ this campaign oozes true Christmas cheer throughout. At first viewing this Christmas ad seemed almost as endearing as John Lewis’ 2011 ‘For gifts you can’t wait to give’ ad. Two young brothers lay awake at night discussing how mum and dad are around a lot, basically not shopping for their Christmas gifts. One brother says to the other, ‘don’t be sad Toby, you can have anything you like from my side of the room to be your gift.’ Just as they rush downstairs for Christmas morning, certain there will be no gifts but Toby’s, they realise the tree is brimming with presents. Turns out their parents have just been ordering online, checking out with PayPal. The issue? 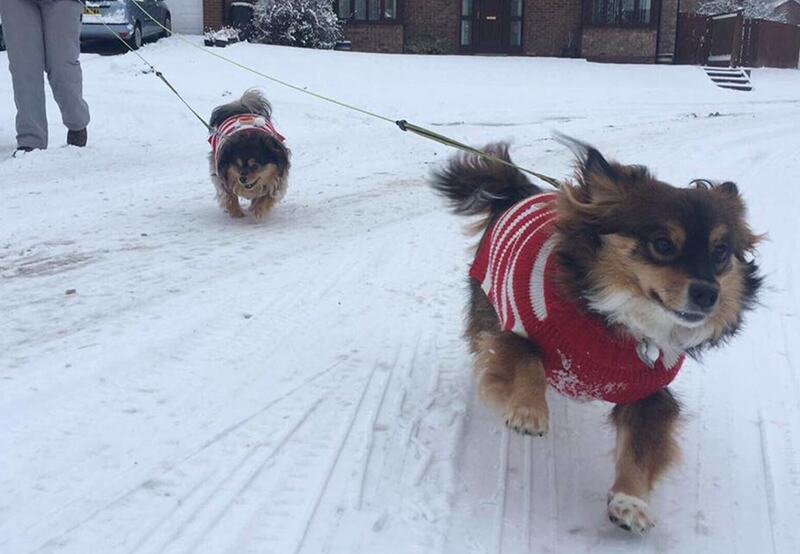 Where on earth is Santa? Ever played Mr & Mrs with a friend who’s about to embark on married life? If not… where have you been hiding?! For those who are familiar with the game, this new ad from KFC will make you smile. Taking the lead from the game, the new campaign sees friends play against each other in a bid to win chicken and fill their finger licking bucket. BBH, the agency behind the ad, set up a social campaign and searched across the UK to find real best friends to take part in filming. This merry spot aims to promotes KFC’s Friendship Buckets by following a completely different angle to most of 2015’s festive ads, yet through a sweet idea and real stories holds an important message of friendship around the merry season. There’s five different ads in the series which were released on the 14th Nov. In addition to TV, the campaign includes a site where you can take part in the quiz and some venues will also give customers the chance to play in store. Play with your pals online here. This spot is high fashion as it should be making you want to treat yourself to a Christmas present. If you’re anything like us, you want to know what happens to that ASOS parcel when you order it, and return it. “Usually adverts focus on the front end customer experience but we wanted to show that the back end details also make all the difference,” said Net-A-Porter’s VP of global marketing Heather Kaminetsky. In this Net-a-porter & Mr Porter Christmas ad, a more romanticised office and depot reveal the attention to detail process in an attractive way with all staff dressed in ultimate glamour, attending bow tie tying classes and turning butterflies into handkerchiefs. “The ad shows the care that goes on behind the scenes before you receive the package at your front door. I think it will make us stand out because no other retailer has really focused on that before”. While it’s not a Christmas advert as such, it definitely puts us in the gift buying spirit, even if those gifts would be for ourselves! Waitrose – What Makes Your Christmas?